This is 4th part of java binary tree tutorial. 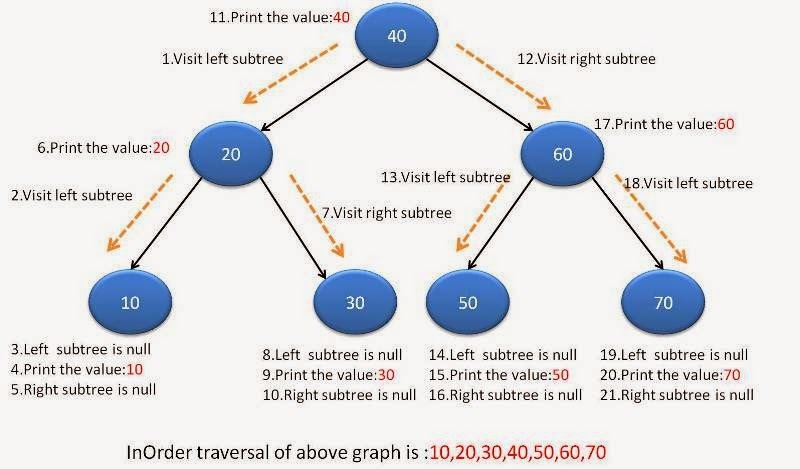 In this post, we will see about InOrder binary tree traversal in java. In InOrder traversal,each node is processed between subtrees.In simpler words,Visit left subtree, node and then right subtree. Traverse the left subtree in InOrder. Traverse the right subtree in InOrder. Recursive solution is very straight forward.Below diagram will make you understand recursion better. For recursion, we use implicit stack. So here to convert recursive solution to iterative, we will use explicit stack.